Retirement plan software is almost completely driven by personal data. This electronic tool helps you make projections about your retirement spending and determine what kind of savings you should be doing now in order to have the kind of lifestyle that you desire later. Most retirement software is a spreadsheet or database that can calculate savings and income projections based on your unique financial situations. Many programs can do what is called Monte Carlo simulation – a computer-based projection model that is able to use your data in order to make predictions or imitate real life. Monte Carlo capabilities in computers are supposed to help assess risk, though some software designers have noted that it is not able to overcome the unpredictability of the market, prevent you from losing money, assist your goal of retiring earlier or ensure that your retirement investments can truly last for the duration of your retirement. 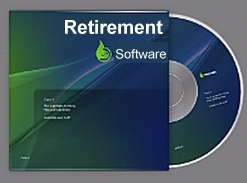 As retirement plan software goes, some packages are freeware and others will cost up to a few hundred dollars. Many companies often allow employees to use the licensed version it has purchased for in-house use for no charge. Companies like Fidelity Retirement that are specifically dedicated to retirement planning offer retirement plan software for free – but you must be a member of Fidelity to use it online. Forbes magazine has listed Fidelity’s software as one of the best on the market because it does account for tax effects. Though many employers offer this one free, Morningstar will not break the bank at $125 for the full version. For those who are relying on investments to build a retirement fund, Morningstar scores big: it makes sound recommendations for the best mutual funds and saves all your data for later. Because this retirement plan software (and its dedicated managers) can also give personalized goal-planning assistance, retirement income analysis, asset allocation suggestions – in addition to its investment recommendations – it can create retirement plans that are tailored for each individual. It does not just make a blanket recommendation for you. It allows you to compare your own strategy to the one developed with the software and make choices based on the comparisons. The T. Rowe Price retirement plan software package does not charge for its projections. This free tool is simple to click on and use (even for the technically challenged). It even does Monte Carlo simulations to help determine if your retirement savings will give out before you do. The one drawback for T. Rowe Price, however, does not make allowances for taxes. It assumes everything you are investing or saving is tax deferred. This can be quite dangerous in modern economic times – especially when current leaders change the tax codes so frequently. To its credit, however, the T. Rowe Price calculator does offer alternative recommendations in the event of shortfall. If you can make your way through the 81-page manual, the rugged interface design or the $199 purchase price of the ESPlanner Plus retirement plan software, you will appreciate the attention to detail. Unlike some other software packages, ESPlanner takes into account the number of people in a household, windfalls, large planned purchases, and ongoing recurring events (like annual vacations). It seems to be a more reality-based approach. Reviewers have not recommended this software for the young retirement planner – simply because there are too many variables that could change. For the older planner closer to retirement, however, there are fewer glitches, and this works just fine. No matter which retirement plan software turns out to be the best for you, remember to be as honest as possible with all of your data. It will give you the most accurate picture for savings and for living the retirement life, you desire.